According to the National Spinal Cord Injury Statistical Center at the University of Alabama at Birmingham, spinal cord injuries affect some 17,700 people each year in the United States. Spinal cord injuries, often referred to as “SCIs,” are extremely serious injuries that can leave victims with long-term complications, including permanent paralysis below the site of the injury. Can You Recover Compensation for Your Spinal Cord Injury? Whether you can recover compensation for your spinal cord injury depends on whether someone else’s negligence caused your accident. Under California law, negligence occurs when a person fails to use the degree of care that would ordinarily be exercised by a reasonable person in the same or similar circumstances. Whether negligence occurred in a given case is a highly fact-specific inquiry, so it’s important for spinal cord injury victims to have their case reviewed by an experienced attorney. If you don’t, you could be walking away from thousands or even millions of dollars in compensation. Remember, you only get one chance to settle your case, so it’s critical that any settlement you accept adequately compensates you for all of your losses – including the ones that are going to arise in the future. For this reason, it’s highly advisable to retain an attorney to represent you in settlement negotiations with the insurance company. If you fail to do so, you run the risk of accepting a settlement far below the actual value of your case and dealing with a lifetime of uncompensated losses. If you have suffered a spinal cord injury in a preventable accident, there’s a very strong chance that you are entitled to significant compensation for your current and future losses. To schedule a free case evaluation with attorney Gary C. Eisenberg, call our office today at 818-591-8058 or contact us online. 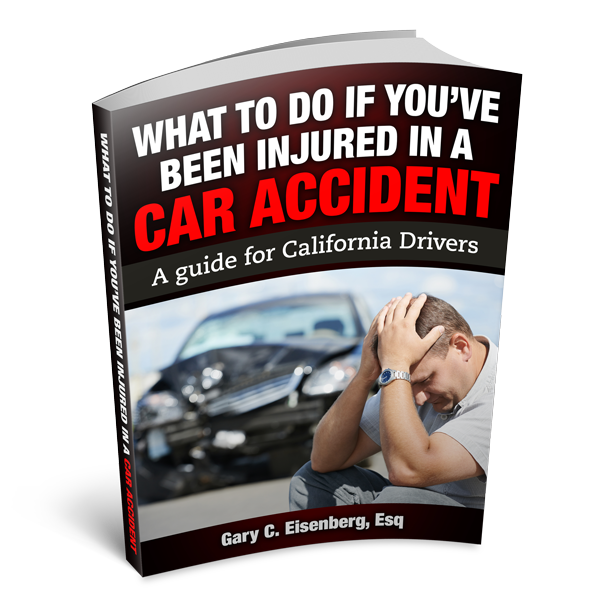 Previous PostPrevious Do You Need a Lawyer for a Car Accident Insurance Claim? Next PostNext Can Social Media Affect Your Car Accident Claim?